to new research, that’s welcome news among IT leaders. controllers (ADCs), the Swiss army knife applian ces that perform load balancing, caching, SSL offloading and a host of other vital datacentern tasks. 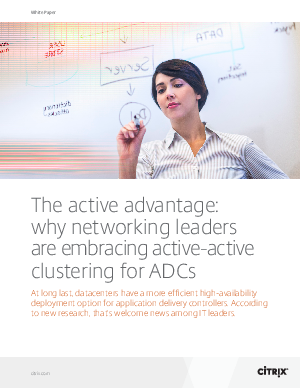 Almost everyone inside IT, though, understands exactly how essential ADCs are to network uptime and performance.